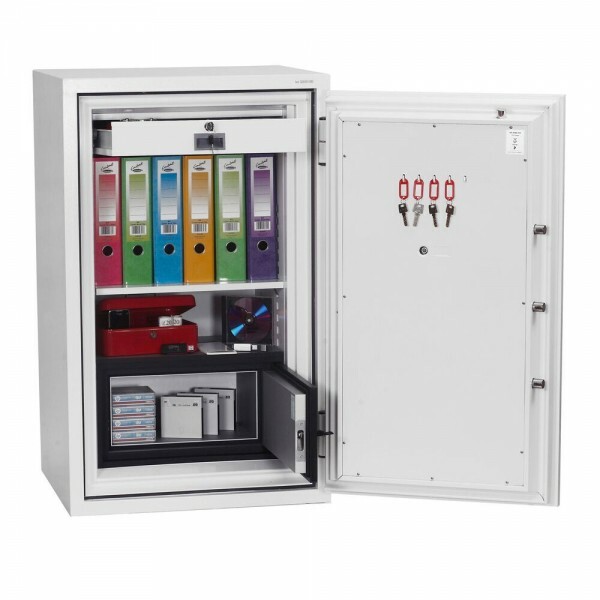 The Phoenix Data Combi Safe Size 3 Electronic offers totally unparalleled protection for computer media and is suitable for use in residential or business premises. 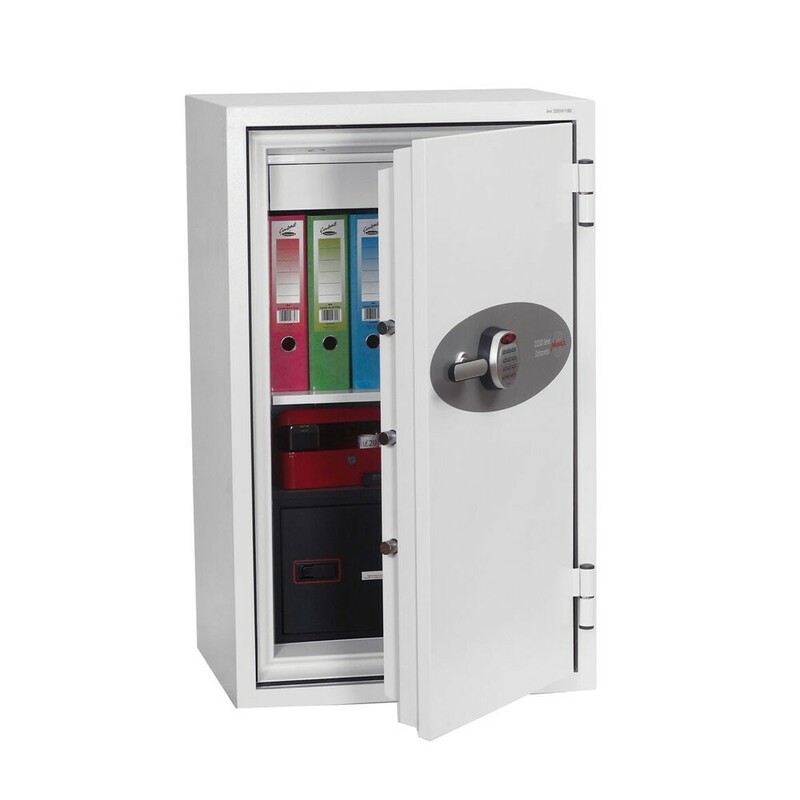 The safe conforms to the Swedish NT Fire 017 - 90dis test offering 90 minutes fire protection of data storage tapes and CD's when stored in the bottom data storage, which has a volume of 13 litres. It has also undergone a 9.15 meters drop test simulating falling through a building floor. Furthermore, it is tested to Swedish NT Fire 017 - 90 Paper thereby ensuring that paper documents are safe for up to 90 minutes. The Phoenix Data Combi Safe Size 3 Electronic has a high security electronic lock with clear LED display with internal alarm, dual control, hidden code and scrambled code that can be programmed as standard. 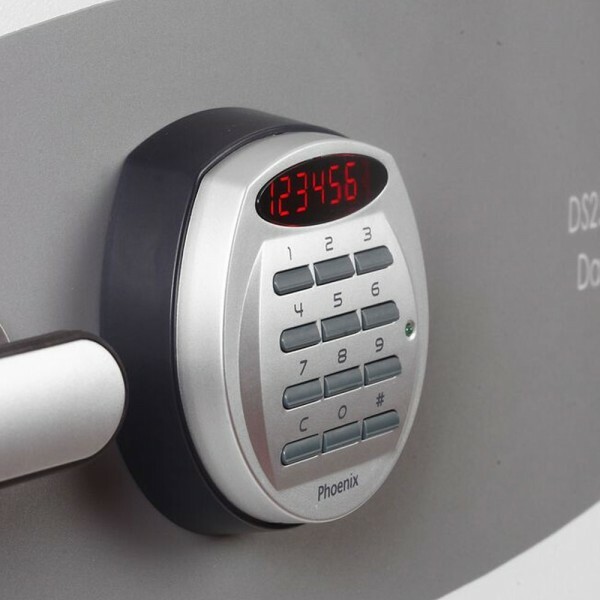 It is recommended for an overnight cash risk of £2,500 or £25,000 worth of valuables and supplied with a height adjustable shelf and lockable drawer.